Seattle has had the first of it's Proterra Electric buses go into service just over a month ago in Seattle. They intend to buy 30 over a few years. I came across a rather interesting review of the bus along with a few videos of it. It seems interesting and being that we're in the market for electric buses, it's most likely one of the contenders to the electric bus bid. They claim it's the fastest EV bus on the market and they discuss how it's charging system is completely automated. Interesting. They claim they have a demonstrator they bring around for TA's to look at. They should bring one here. Atomic Taco has quite a few pics of the bus on flickr Ouch 2 rear facing seats at the rear. They also claim 3 companies bid on the seattle contract BYD, New Flyer and Proterra. 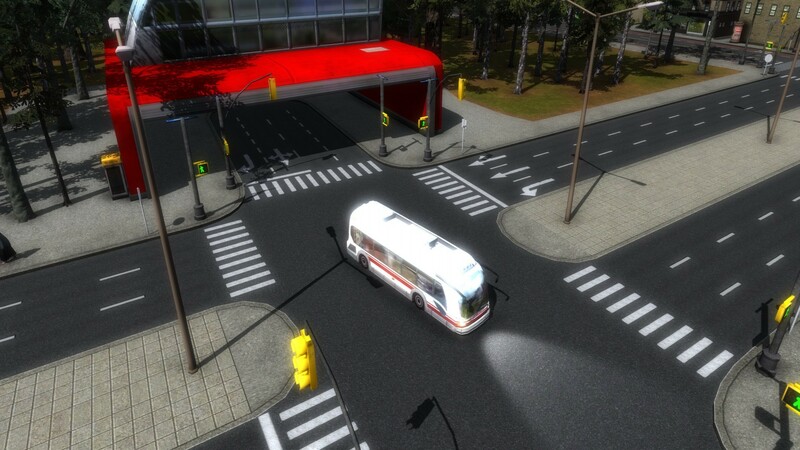 I think it would be kind of interesting to have different electric companies buses here, but I wonder if the towers built would be unique with one style of bus. They didn't explain why 4602 broke down, or what the deal with holding the pedal down was (apparently something to do with the charger). The bus sounded like a 1950s era trolley bus. I think it would be kind of interesting to have different electric companies buses here, but I wonder if the towers built would be unique with one style of bus. So how could you ever charge #700 with a tower if you don't buy from New Flyer? Unless they always intend to charge it at the garage. One way to check on that would be to find a TA with 2 different EV buses, but so far I don't think that exists. The initial problem is that unlike the Manitoba buses, the CTA ones don't seem to have the "trolley poles" for charging, so something would have to be retrofit. However, looking at Nova videos and Jay Leno's Garage, it looks like each company has its own method, so that could be a problem going forward. Already in service, but virtual service only. Damn that is a Proterra!! Now if only we had one in CTA colors, but we don't have an Xcelsior in CTA colors either. ...we don't have an Xcelsior in CTA colors either. Assuming we get more electric buses, we might actually have a chance at that. I believe 700 and 701 are Xcelsiors. I was looking at the pictures of the charging device. That thing looks like an oversized street lamp or something. Kind of weird. I'm assuming it plugs in somewhere on the roof like those refueling things on military jets. Busjack had mentioned the #700's don't have a charging port on the roof. I think he might be wrong as the #700's are built to the specs of the Manitoba pilot bus. CTA just chooses not to use it so far. Technically if Proterra's extended range electric bus can do 258 miles a charge, (and I'm sure NF has one in development too) they wouldn't really need a tower which we agreed has it's own compatibility problem. 250 miles should almost make an 8 hour shift. The #700's could always go in for an extended range battery rehab if that's possible and they would be up to par with the newer buses. They could always have those operators that run those buses do their own fallback at the terminals. (Pace operators take breaks parking the bus for extended periods) Then the bus would get about an hour charge. That's not bad every 7 hours. With #701 at 77th, it shows at least all garages will have garage chargers even if the towers are delayed. It all depends what kind of bus they order for the battery range. as the #700's are built to the specs of the Manitoba pilot bus. That is untrue. CTA issued its own spec when it put it out to bid. Proterra had one of their 40 foot demos at CTA Headquarters this afternoon. Bruce Moffat has kindly given me permission to post some of his images here. Proterra had a truck and portable charging station tagging along. 40 foot seems something new. And the charger following on the truck sure takes care of range anxiety. The rear quarter looks like an Airstream. Was the charger powered by petroleum combustion, or to be plugged into something? Bloomberg article about Proterra in Seattle, also citing CTA claims about the 700s, and saying that Warren Buffett is backing BYD. I think the rear reminds me of the Flxible Clipper. 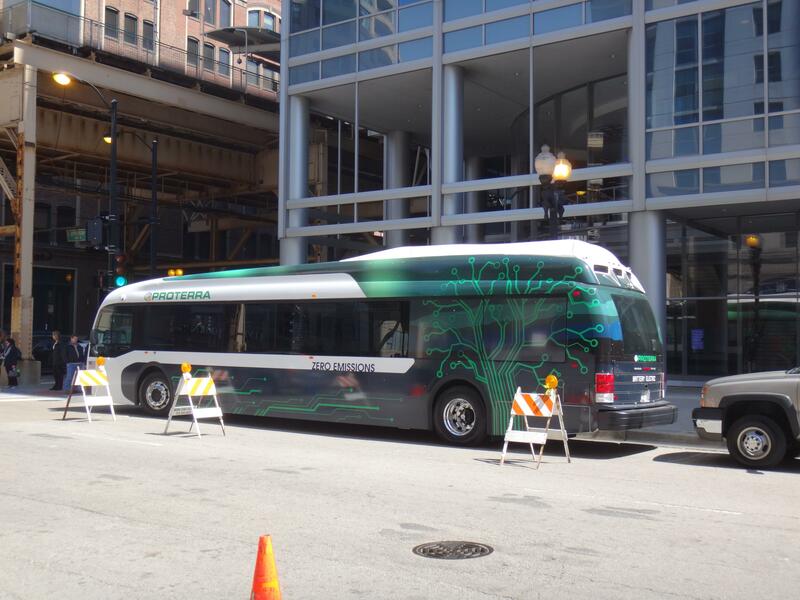 On a related topic, Prudential Plaza and Aon Center are using Proterra buses on their shuttles. Tribune article. It also indicates that a 40-foot Proterra bus lists for $749,000, which is a heck of a lot more reasonable than the $1.1 million stated for each 700. The Free Enterprise System is the company that Prudential and Aon contracts with for the shuttle service. Wasn't clear from the article who owned the buses, though. They are leased by JLL according to the Protera press release. JLL are the building owners. The map on the Proterra site lists them as Catalyst FC 40' buses with a range of 49-62 miles. Current vehicles are Free Enterprise but their depot is in Hammond, IN and these buses do not have the range. Actually they park their buses on Laf lin around 23rd street. So the deadheading issue is voided. between 12:30pm and 1:00pm. Is this related to the story in art's post of 10/28/16? Most likey it was doing a test run or demo for Aon-Prudential. They are supposed to roll out next month, still not sure what company is going to be operating them. There was nothing in the budget for all-electric buses for 2016, and a bid process must go out for the buses, otherwise Nova and New Flyer(who also make all-electric buses too) have a legal leg to stand on. They can do like Bombardier tried and file an injunction with the FTA(may not be the correct wording, but you get where I'm going) and CTA may be forced to cancel whatever secret procurement they have. The obvious thing is that a procurement has not been posted, so one shouldn't assume that an illegal one was had. All that is demonstrated is that these weren't CTA buses. I agree with you, Busjack. But how did they get destination signage for CTA(like 54 Cicero to North Avenue or 80 Irving Park to Cumberland, according to @CTA5750)? That would have to be programmed into the destination sign programming to appear. I remember how long the new arrival Novas were at South Shops before being assigned to FG, not only for fareboxes, Ventra readers and Clever Device boxes, but to download and program the destination signs along with inspections. They were down there for at least a week or more before being assigned. 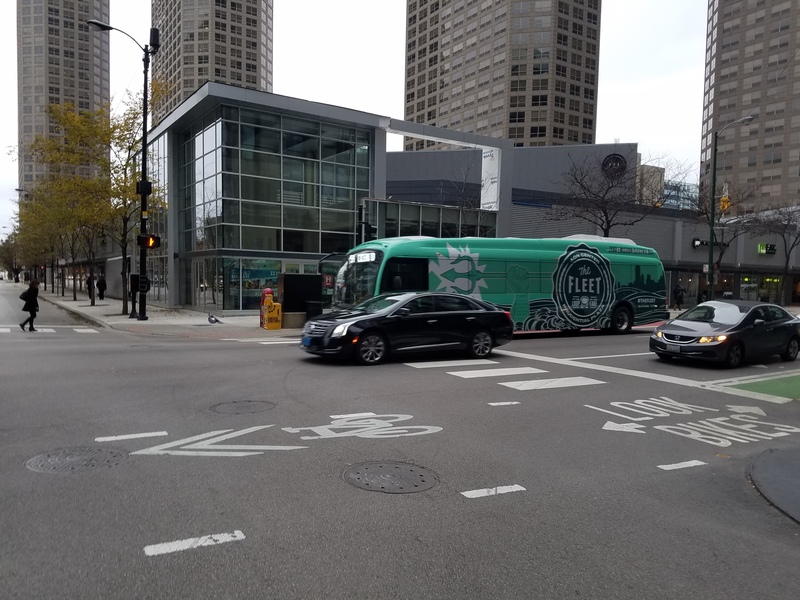 There was only one bus sent to 567 W. Lake St. to show off to CTA, and that was in April, 2016. It could be something to entice CTA to get interested in Proterra for their electric bus order, but $$ is always the factor. Will they be the lower cost manufacturer than New Flyer and NovaBus? And are they as reliable as New Flyer is(no reported issues with the two XE40's) and NovaBus are proving themselves to be? All-electric buses are still being modified to be more and more reliable since debuting on the market in the last 4 years(first one I heard about was that one the CTA tested for a time and sent back, I can't remember the manufacturer, but it was around 2012, I believe)... there are still things that every manufacturer of these buses can do to better their products, I'm sure. If CTA is still not yet preparing to put a contract out for the all-electric buses in 2017, I would wonder if NovaBus will send a LFE to 567 W. Lake St., too. New Flyer has it's demo buses rolling right now(700 and 701). Just saw one of them on Clinton. Definitely said 54 Cicero to North. Weird. But how did they get destination signage for CTA(like 54 Cicero to North Avenue or 80 Irving Park to Cumberland, according to @CTA5750)? I had that speculation in my prior post, but that's the extent of that. If CTA is still not yet preparing to put a contract out for the all-electric buses in 2017, I would wonder if NovaBus will send a LFE to 567 W. Lake St., too. New Flyer has it's demo buses rolling right now(700 and 701). No they aren't demo buses. If you go back to the beginning, it was a TIGGER grant, and there was a competitive procurement for them. They are CTA property, not New Flyer's. Only thing was that they were said to be on a one year test, like the 40 foot hybrids. Just saw one of them on Clinton. The wrap confirms that it is an Aon/Prudential bus. However, I wonder what "THE FLEET" is, as the phone number, despite magnification, is not discernible, and #THEFLEET is not a unique hashtag. I must have seen the same bus this week northbound on Michigan around 16th Street. Same sign as your sighting.